SCORES No 10 // PHILOSOPHY ON STAGE #4. NIETZSCHE ET CETERA. This is an Open Forum for the audience to discuss with artists, performers, philosophers in order to create a resonating field. Led by Arno Böhler, the PEEK-Projekt „Artist Philosophers. Philosophy AS Arts-Based-Research“ [AR275-G21] is funded by the Austrian Science Fund (FWF) as part of the programme for artistic development and investigation (PEEK). Research location: University of Applied Arts Vienna. Brought about in national and international cooperation with: Jens Badura (HdK Zürich), Laura Cull (University of Surrey), Susanne Valerie Granzer (Universität für Musik und darstellende Kunst Wien/Max Reinhardt Seminar), Walter Heun (Tanzquartier Wien), Alice Lagaay (Universität Bremen). Postdoc: Elisabeth Schäfer (University of Applied Arts Vienna). 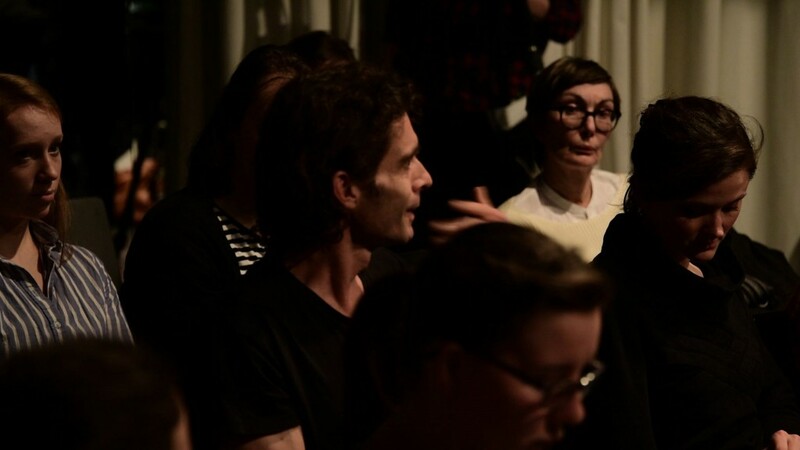 The lecture series was produced in collaboration with: Institut für Philosophie [Arno Böhler und Institut für Theater- Film- und Medienwissenschaft der Universität Wien [Krassimira Kruschkova], University of Applied Arts Vienna.